AMP is a collaborative project, championed by Google, and involving a diverse group of industry experts. Tech companies, distribution platforms, and web developers all contributed to the project. Everyone involved with the internet has a stake in this project, seeing that the internet is a massive community, and making the best version of it helps everyone involved. 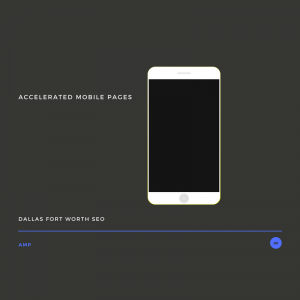 To discuss how AMP’s can help your Dallas / Fort Worth, TX business, give us a call 800.231.4871. Some of the terminology above probably sounds foreign to many. Even so, it is the “behind the scenes” work of web developers that most effectively impacts loading speed. Google made this initiative open source so that developers could collaborate to improve the code as time goes on. The agreed upon set of rules gives everyone guidelines for improving the HTML. There are several resources for how to create AMP pages. Despite this, a professional web designer is recommended for optimal website performance. 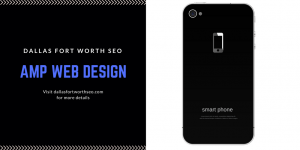 Dallas – Fort Worth SEO provides superior mobile design for business owners throughout the Metroplex. Our team combines experience and dedication to enhance your company’s online presence. If the time has come to start catering more directly to your mobile audience, DFW SEO is the perfect match for you. We are the #1 company for both mobile web design and search engine optimization. We design mobile websites using AMP technology so that your target audience can quickly and effectively reach your pages. Furthermore, we give them reason to stick around and complete the call to action. Call 800.231.4871 for Accelerated Mobile Pages. 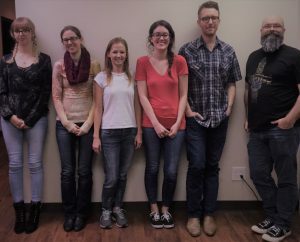 Updated on March 30, 2018 at 6:41 pm by Dallas / Fort Worth SEO.